Ann has worked with families, couples, and individuals affected by addiction for over 30 years. She is a Certified Imago Workshop Presenter, Certified Somatic Experiencing Practitioner, a trained Voice Dialogue facilitator, and trained on the PAIRS (practical application of intimate relationship skills) model. 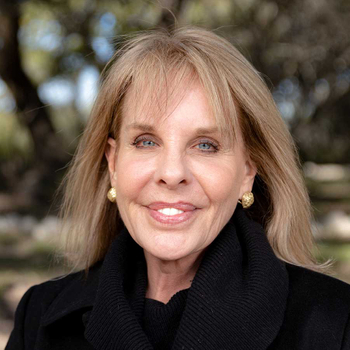 Ann consulted at the Betty Ford Center for 17 years and developed the Recovery Enrichment Program (REP) as well as a program for recovering couples and singles, using Imago Theory. She was in private practice for 26 years in Southern California and Montana leading women's groups, couples’ groups, and workshops for recovering people and their families. Ann lives in nearby Wimberley, Texas with her rescue dog Oreo.